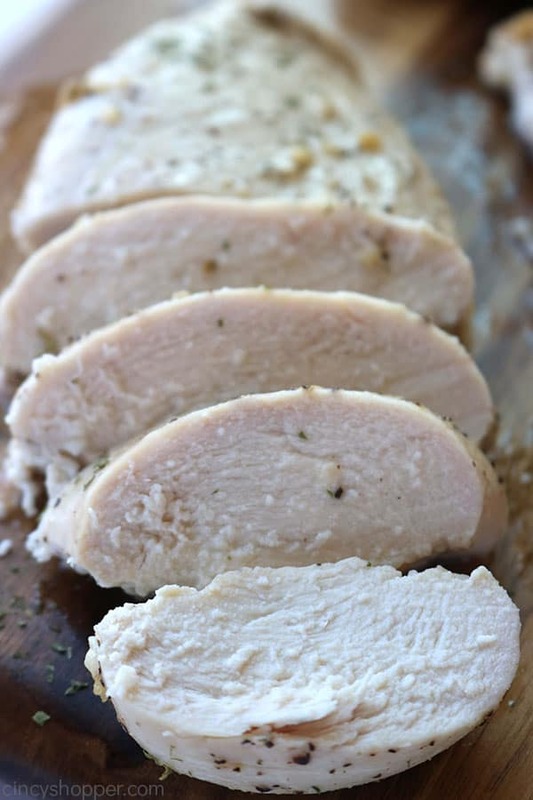 My Easy Baked Chicken Breast is great served as a meal or perfect for any recipe requiring cubed or shredded chicken. 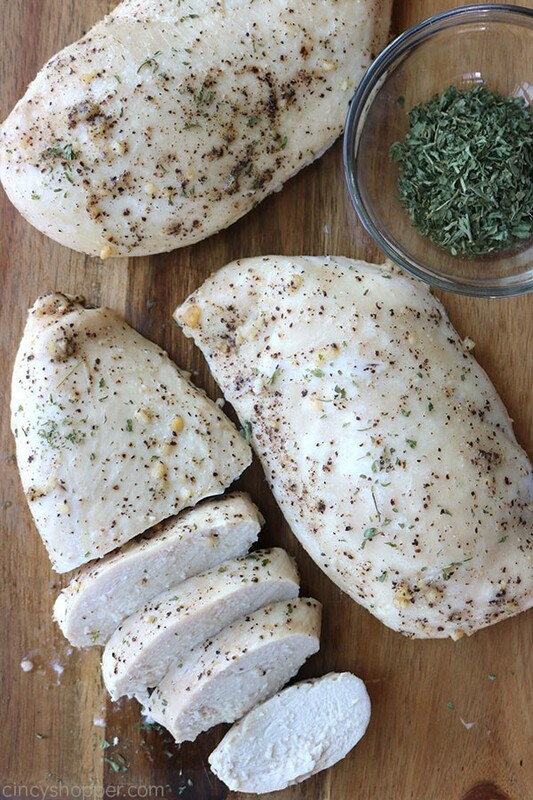 We use just a few simple herbs to have this chicken done in a snap! 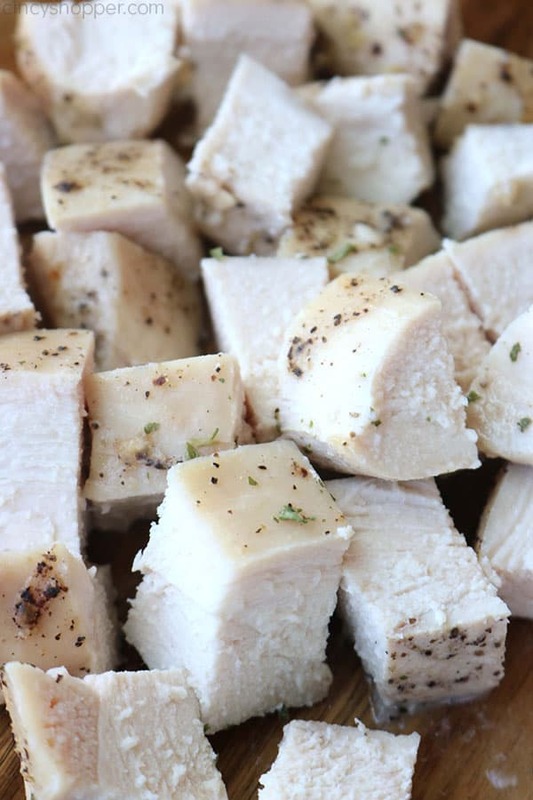 This recipe for Oven Baked Chicken Breast requires just a handful of seasonings that you most likely already have on hand. 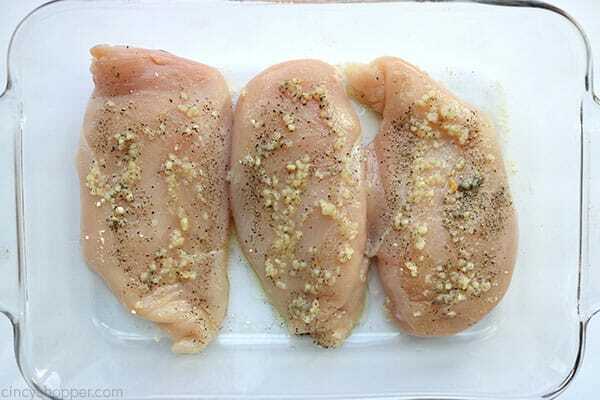 I use a bit of garlic, cumin, onion powder, salt, and pepper to create an very easy, juicy, and perfectly baked multi purpose chicken. We bake them quickly at 400 degrees to seal in all of the juices. We then allow them to rest for about 5 minutes before serving, shredding, or cubing. The results are amazing. 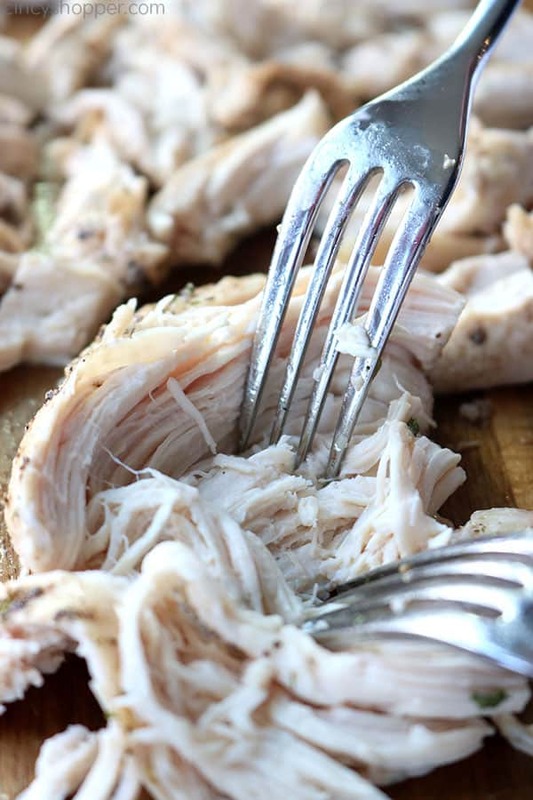 This is my go to for any recipe that calls for shredded or cubed chicken. I find it to be seasoned to work with any dish. I call it my all purpose chicken. There is no need to marinate, so it is made so quickly. I even serve it occasionally as a meal because it is very kid friendly. I use this recipe so frequently and you will be too. I shred my oven baked chicken breast for the Chicken Tortilla Soup that I shared with you last week. It’s great in my Easy Chicken Pot Pie Casserole too. I often shred, cube, and freeze our easy oven baked chicken breasts. Having extra all purpose chicken on hand makes weeknight dinners so simple. So many recipes require shredded chicken or cubed chicken. Many also call for the use of a shredded rotisserie chicken. 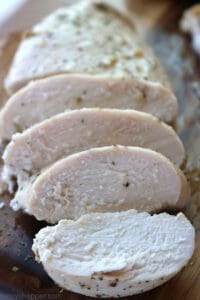 Simple baked chicken breasts are so incredibly easy and always result in a perfectly juicy and flavorful chicken. No need to purchase pre-made chicken. You can make this recipe ahead so it is also great for meal prepping. 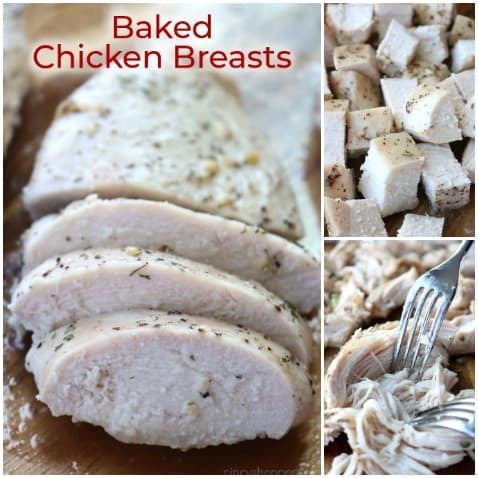 If you have a list of healthy baked chicken recipes, you will want to add this one to your list. It’s so easy with basic ingredients but still gives you great flavor. Cube it and add it to your green salad, toss it in a simple rice casserole, or serve it along side some simple veggies as a meal. The options are endless. No guilt because this one keeps it healthy. Place chicken in a shallow baking dish. Drizzle with half of olive oil. Spread half of garlic over breasts. Sprinkle with half of salt, pepper and onion. Turn breasts over and repeat on other side with remaining ingredients. Cook 23-28 minutes, until internal temperature reaches 165. Allow to rest and cool for at least 5 minutes. Slice cube or shred as needed for recipes. 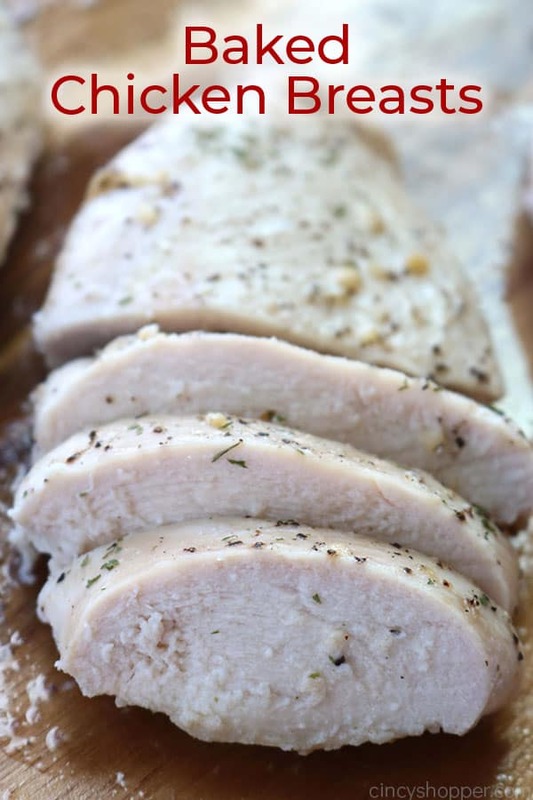 What temperature to oven bake chicken breast? Bake them at 400 degrees. This will allow them to bake quickly, sealing in all of the juices. You will want to allow them to rest for about 5 minutes before serving, shredding, or cubing. The results are tasty. 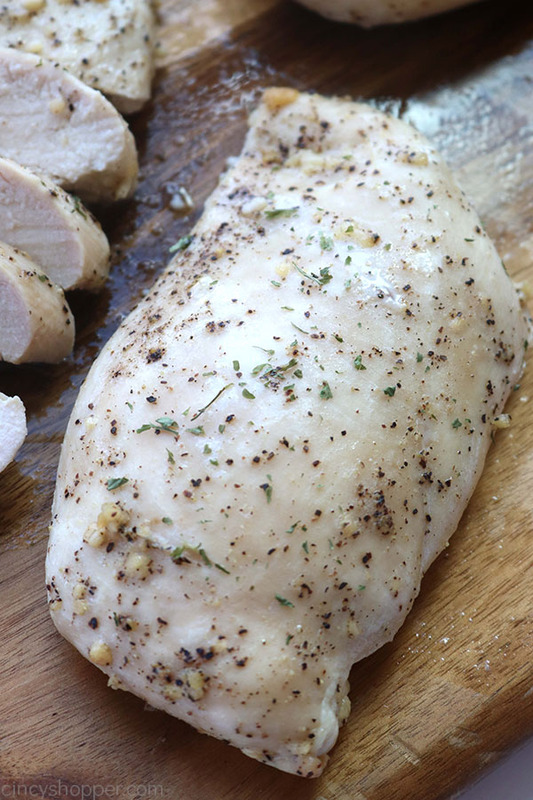 If you want a very juicy chicken, you will want to make sure you never over bake your breasts. Baking them for about 23-28 mins usually has your chicken breast at a temperature of 165. 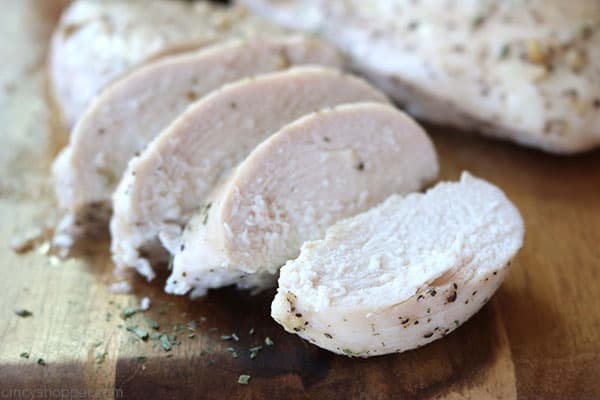 Chicken breasts come in all sizes and thickness so if you have thicker breasts, you may need to bake for a bit longer. 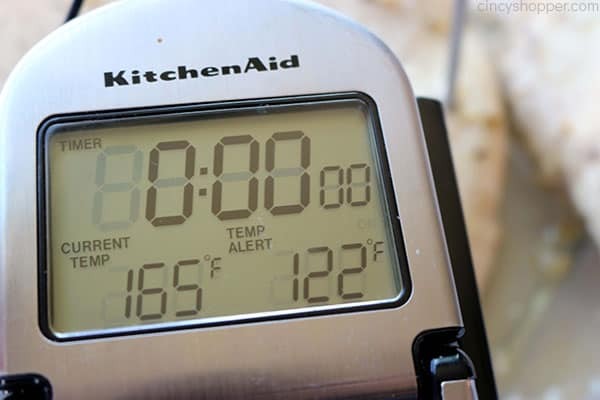 Be sure to use a meat thermometer to achieve at least 165 degrees. You do not want a raw chicken breast. 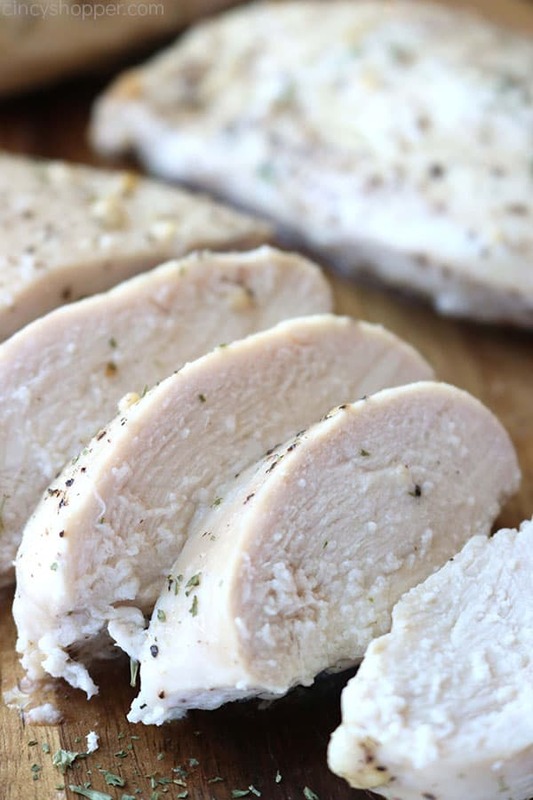 Can I freeze Baked Chicken Breast? Absolutely! You want your chicken to cool completely before freezing. I place ours in a zipper bag to have it handy for recipes I want to make quickly. You can store your chicken in the freezer for up to 2 months. When ready to use, remove from the freezer and allow to thaw completely before reheating.